It’s easy to hate travel bloggers. Their entire careers comprise of encircling the world, taking nice photos and staying in ludicrously expensive hotels for free. But now even the resorts that host them are getting fed up, it would appear. “Them” is obviously a sweeping statement. There do exist hard-working, trusted bloggers who provide genuinely useful advice and unbiased reviews for their followers – but for every one of them, there are hundreds if not thousands of social media wannabes who deign themselves “influencers” in order to score free hotels stays, and it’s driving their owners – and legitimate bloggers – mad. “Disgraceful would be a polite word for most travel bloggers,” says Gilbert Ott, himself a travel blogger. “The embracing of the ‘me, me me” generation has gone too far’. What do the hotels say? Earlier this year, an Irish hotel went so far as to ban all free stays for “social media influencers”, and publicly shamed one YouTuber who requested one by publishing the email for all to see. The vlogger, a 22-year-old with more than 80,000 followers asked for a free stay for her and her boyfriend in exchange for posts about the hotel on her social media channels. Refusing the offer, exasperated owner Paul Stenson wrote on Facebook: “It takes a lot of balls to send an email like that, if not much self-respect and dignity. Dusit Thani, a luxury resort in the Maldives, receives at least six requests per day from such individuals. “People say, I want to come to the Maldives for 10 days [all inclusive] and will do two posts on Instagram to like 2,000 followers,” the resort’s marketing manager Kate Jones told The Atlantic. Ten days comes to £6,785 at Dusit Thani. 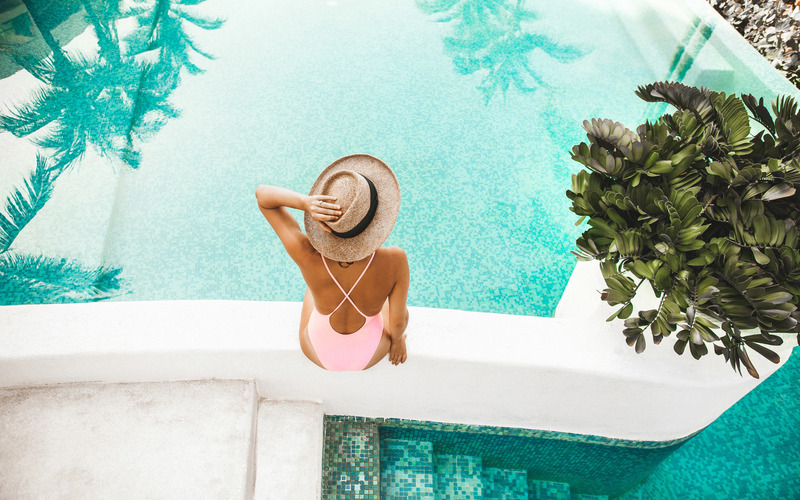 Natasha Eldred, whose agency Shine PR handles press for Keemala Hotel Phuket in Thailand, told Telegraph Travel: “The expectations are often outrageous, things like ‘in return for a TripAdvisor review and two posts per day to my audience of 2,000, I would request two villas for four nights with free food’. Influencers have completely changed the shape of a PR’s working day. Lanny Grossman, president of EM50 Communications, a New York-based hospitality PR firm, handles marketing for luxury resorts including The Singular Patagonia in Chile. What do the bloggers say? In an effort to see things from the other side, we spoke to Kate McCulley, of Adventurous Kate, who has been a full-time professional travel blogger for nearly eight years, and were surprised to find that she very rarely requests free stays. It may be snowing out now, but let’s relive summer with this throwback shot from July in #Williamsburg, a neighborhood that I try to avoid but somehow my friends always want to go there. 🤔 Never miss an opportunity to selfie with a fake Italy! How do hotels choose who to work with? For Eldred, from Keemala Hotel Phuket, this criteria takes into consideration both the influencer’s number of followers and brand image. “Do they have nearly, or more than, a million followers and reach an average of 35,000+ likes? Are they polite? Have they sent me links to their accounts? Most don’t,” she says. One of the advantages for hotels in hosting bloggers, in addition to the exposure, is that these people are often talented photographers and video producers too. For the hotel, this means free material they’d otherwise have to pay for, as many of the luxury resorts we spoke to pointed out. How important is your follower count? Social media consultant Jodie Cook explains: “Engagement rates are just as important as sheer follower numbers. There’s been a huge rise in ‘micro-influencer’ marketing because several studies have shown accounts with fewer followers actually achieve higher engagement rates. Micro influencers are typically classified as those accounts with fewer than around 50,000 followers. It’s pretty easy to spot if someone has just bought followers – since paid-for likes and comments are carried out by bots rather than real people. The first potential sign is that the number of likes and comments is unusually high for the account’s number of followers, or is unusually consistent across various pieces of content. The second is that the comments will be very generic and sometimes spammy. If you find lots of accounts with odd usernames, that have never posted content, have very few followers or are private accounts; there’s a good chance they’re bought. Another trick in spotting paid engagement is scrolling someone’s Instagram feed and checking for video views. Chances are, if someone has purchased likes or followers, their video posts will have relatively low views compared to their post likes or account followers. There are also several tools that will analyse an account’s followers and estimate the number of fake accounts, such as: socialauditpro.com. “A smart person in the industry once told me it really isn’t about how many, but who,” Ott agrees. “Our site has millions of annual readers, but on Twitter I have a mere 11,000 followers. These followers, however, include hugely influential journalists, and generally people with the means or desire to actually book the things I write about or tweet about. So are most travel bloggers really self-entitled brats? “I don’t think so,” says Cook. “What we’re seeing is individuals realising their value and trying to squeeze as much out of it as possible. Someone’s social media profiles can effectively be their currency. Social media analyst Jemima Gibbons agrees. “Travel bloggers and influencers are a relatively new phenomenon but they’re really no different from established travel writers and journalists who’ve always been offered free or subsidised hotel stays in return for writing reviews,” she said “The problem is, there are many more of them. Newspapers and magazines used to act as gatekeepers and that’s no longer the case.